I hope you are having a good week. I am catching up with the blog since it started raining in Rome in the afternoon and I was not very well that prepared for this, especially in terms of shoes. Today it was as horrendous experience in Vatican City while trying to visit San Pietro Basilica. I am shocked by how Vatican treats people, by that I mean, the tourists. The line was inhuman and if you paid four times you could skip it. The people who didn't pay had to basically survive over 2-3 hours stand in row which was defined by wooden borders and those were fixed with some monster screws which you could basically crash into being squeezed from the back of the line. You could get hurt badly. The conditions were really nothing but safe. I took some photos of these. Although it is not related to make-up, if you are interested, I can post here. It was the worst line I had to go through in my whole life. Anyone tried to go in there and experienced the same thing? Today I have a contouring product for you, Smashbox Step-by-Step Contour Kit. Recently contouring became very popular. I was chatting with some of you about that in Instagram. I personally think not everyone should contour. I am seeing slim faced people who contoured themselves to death with stripes on the sides of their faces, usually of very warm shades, I despair. But if your face is round or you can profit from a little bit of emphasize on the bone structure, and if you find the right shade to do this, it is a nice trick which might work. Today I would like to show you how Smashbox's Kit worked for me. 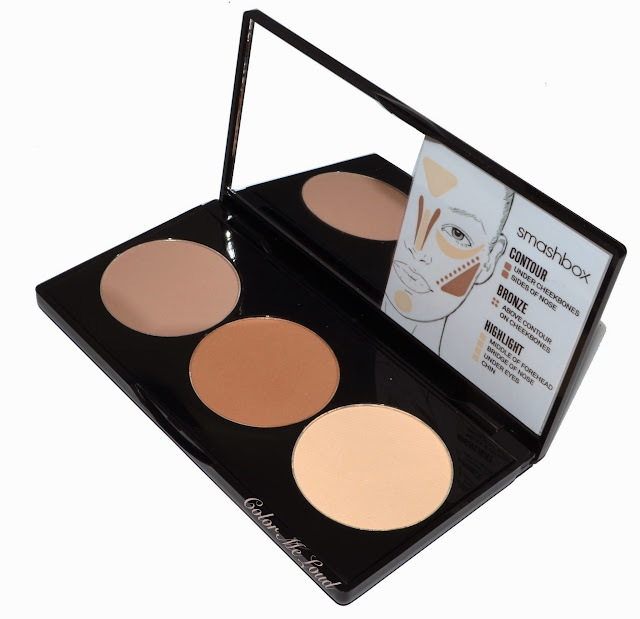 Smashbox Step-by-Step Contour Kit consists of a Contour Palette and a brush. The palette comes in a sleek plastic case with click closure. Inside there are three shades and on the mirror there are the instructions of where to apply each shade. Contour: An ashy cool brown to mimic the shadows of your face. This one is particularly nice since it is nicely pigmented but not overly so. More pigmented contouring products such as Kevyn Aucoin Sculpting Powder need lots of control and experience to apply and even after that you might end up with stripes if you are rushing. This one is a little less intense, hence it is easier to use on my light to medium complexion. You can find more comparisons below. Bronze: A medium cool toned bronzer, which is warmer than the contour shade but a little cooler than my other bronzers. It is nice to warm up the face a little after you contour. According to the instructions of Smashbox, this one should be applied over the counter. Highlight: A light ivory to brighten up under the eyes and over the cheekbones as well as points in the center of your face. This can also be used as a setting powder over your concealer or to blend your eye shadow over the crease and to highlight the brow bone. Since Smashbox's focus is photography, the shades all have matte finishes. Nothing ends up flashing back. A matte highlighter is very handy and great especially if you have a combination to oily complexion. These are silky to touch and not powdery. I pulled out some contouring products from my stash to give you an idea how Smashbox Contour and Bronze shades from Contouring Palette compare to them. 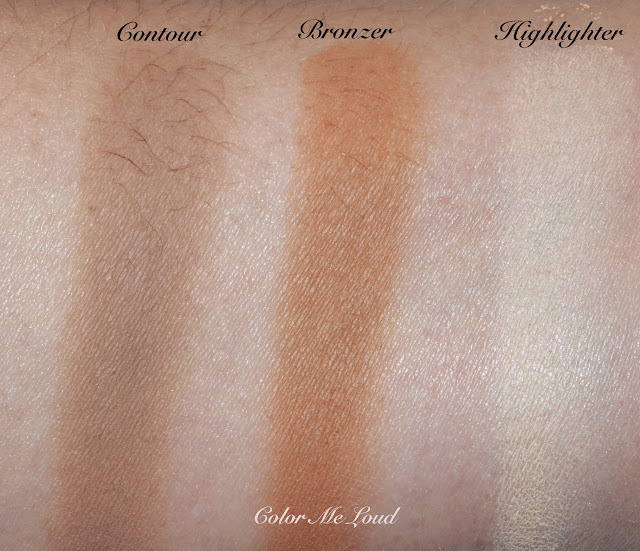 The deepest shade of Anastasia Beverly Hills Contouring Kit is deeper and warmer. Anastasia contouring kit never worked for me properly. I especially hate the banana shade. Any tips and tricks for that? I wanted to review it but eventually I gave up. MAC Sculpt (reviewed here) is lighter and a little warmer than Smashbox Contouring Palette Contour shade. I like MAC Sculpt but I like Contour shade in this palette even more. It is very close to Kevyn Aucoin Sculpt Powder in Medium in terms of undertones but Kevyn Aucoin has stronger pigment, hence easier to overdo. For mornings when I rush, I reach for Smashbox version at the moment. Chanel Notorious is notoriously cool. Smashbox Bronze shade is close to one of my most beloved bronzers at the moment, Bronze Lights in Deep Matte (reviewed here) but a little lighter, which is even better for my complexion. Below you can see a close up of me wearing Contour, Bronze and Highlight shades from Smashbox Contouring Palette. My first observation is that I can't get along with the brush which comes in this kit. It doesn't have enough flexibility on its bristles for me. I might be spoiled by all my japanese fluffies though. I have other angled brushes which work better with this palette so I don't particularly recommend getting the kit just for the brush. Everything else works very well. The photo below is taken from side to show you that it doesn't look fake or like a stripe if you use the right amount of product and blend nicely. Contour shade has the right amount of intensity for my complexion. Combined with the bronzer it looks even more natural. The matte highlighter, which has the right undertone for me works effortlessly to sculpt the cheek bones. Note to myself: Looking at this photo, I see that I needed some of that contouring on my nose too lol. Here is the full look. 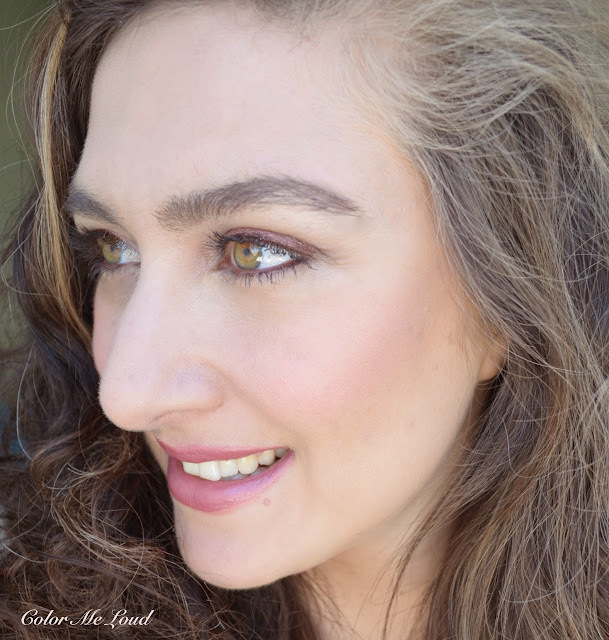 I am wearing Chanel Laurier Rose on my eyes with all kinds of MAC Eye Shadows applied near and over it, such as Quarry, Expensive Pink and Type Blanc. I have a touch of Tom Ford Frantic Pink on the apples of the cheeks and an RMK Lipstick on my lips which I will be reviewing very soon. Final thoughts: I really like the shade offerings in Smashbox Contour Palette. The contour shade is fool proof , bronze shade is cold enough not to turn orange and ivory highlight shade is matte which makes it multi functional (brow bone, blending over crease, setting under the eyes and highlighting). I am not very excited about the brush which comes with it but only the contouring palette is worth the price tag. It is also great for traveling, so I certainly recommend checking it out if you are in the market for a sculpting/contouring product. Do you contour? What is your product of choice? Your contouring looks great here...really nicely blended and natural looking. I haven't gotten much into contouring. I use a bit of bronzer but that's about it. I SO agree with you that not everyone needs to contour. I too see very thin girls with naturally prominent cheekbones who have slabs of muddy contour on their faces, and I'm just like...no. Just no. Oh it looks so lovely! You have no bad angles at all, Sara!!!! Soooo jealous! Now this looks like a contouring kit I could get along with. I am not using contouring products apart from a bronzer which I might use to contour sometimes when I go for a more sun kissed look and I want to play with light and shade on my face. I have quite an angled face naturally, so don't feel I need it really. Love how good a job you did with this product though! As for the Vatican, I was there last week and in the line for two and a half hours. I could handle the queue and all but did not enjoy it that when we finally got in, they sent us out to go to the museum, telling us that the museum exit leads back to the Basilica and we would not have to queue again, which was not true..! That palette looks great, that contouring shade is perfect. 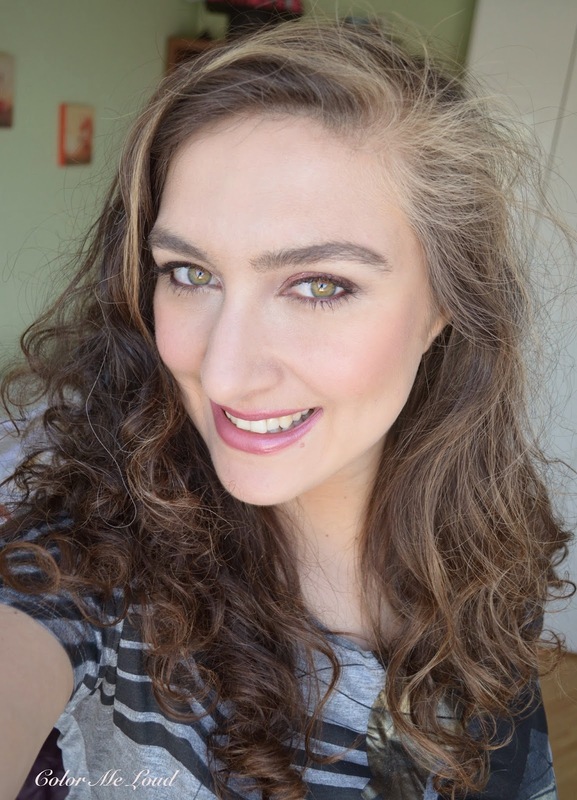 It's quite similar to Mac Taupe that I have been using for contouring,. I agree, contouring is not for everyone and some people take it way too far! Sorry about your Vaticane experience, that sounds terrible but pretty common in Europe unfortunately! And yes, show us photos. I hope the rest of your Rome vacation is great and that it stops raining! Love this entire look! Looking forward to the RMK lipstick review. Being very pale, I haven't bothered with contouring for fear of looking clownish. I may look into this option though. I don't contour because my face is to slim. Tried it once and it looked like I was extreme skinny. Not a good idea. On you it looks great. It's really about the right cool enough colour. And this one does the trick. You should have booked you're reservations to Vatican City by the Internet. Than you do'nt have to wait in line and it isn't more expensive (not that I can remember). I felt horrible though that I could pass the long line of people that were waiting. I did a lot of contouring of my face a year ago, but I'm now going for a more natural, sculpted look. My fave for getting that at home is Benefit's Hoola, but at work I can use pretty much anything from two shades of foundation to the new YSL bronzers, a slightly darker powder than I'd normally use or a bunch of varying tones of bronzer.